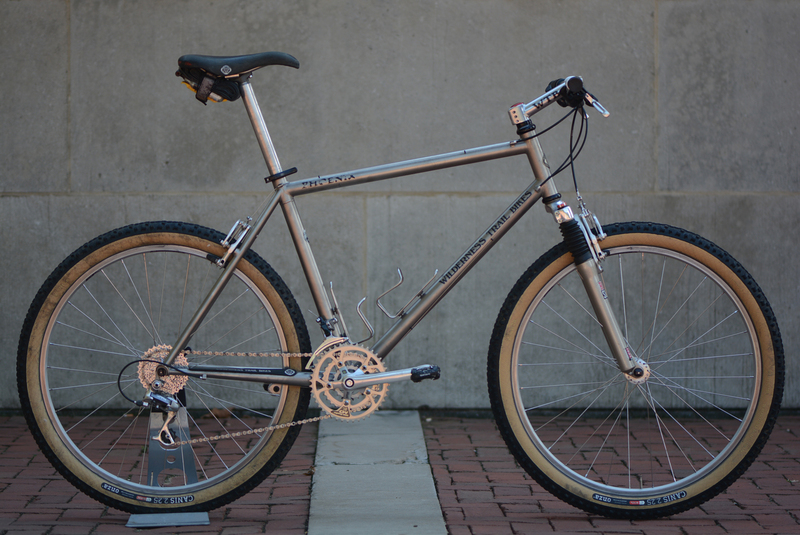 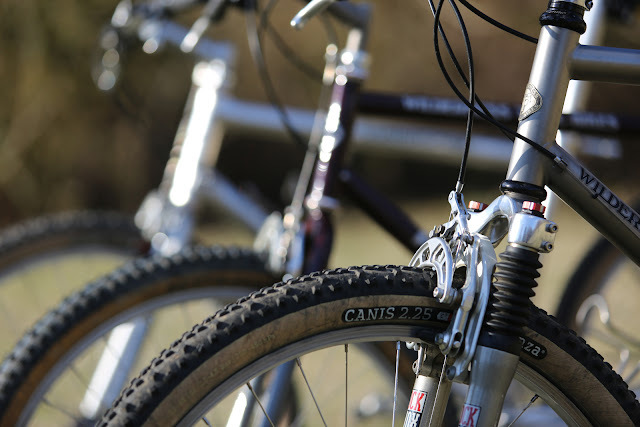 Richard Cunningham started building bikes in 1981 and officially launched Mantis in 1982 offering two models of bikes; the TIG welded Overland and the fillet brazed Sherpa. Both bikes shared 4130 oversize chromoly tubing and geometry only different in construction techniques. Both bikes were designed with a slight bend towards comfortable touring but accommodating of the idea that sometimes things get hairy. That being said it wasn't until 1983 that Mantis released the XCR which was meant to provide a platform for all out racing while the Sherpa and Overland became the defacto touring bikes. Like the fillet brazed XCR the Overland was only available for the first couple of years with both bikes getting replaced by the composite XCR starting in 1984, but the Sherpa remained in limited production for another couple years. It's hard to know for sure, but my limited serial number log indicates that approximately 20-30 Sherpas may have been made in it's four to five year production run. 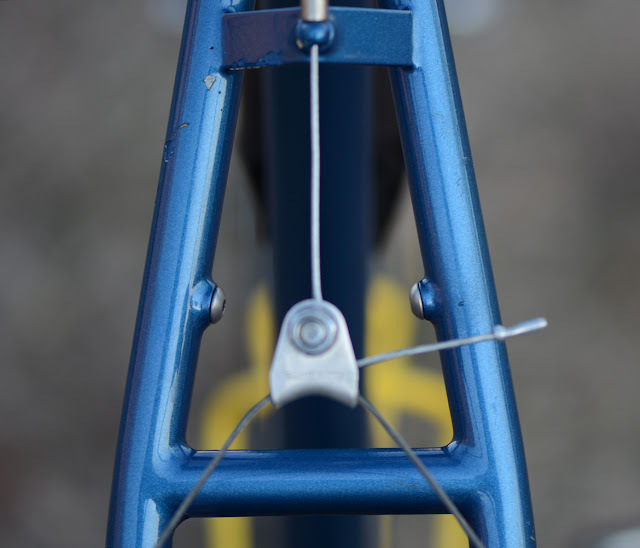 I've spent a lot of time recently working on cough-cough, modern bikes and looking at these relatively slack angles and that crazy long rear end feels odd, but for the time this was relatively sporty geometry. 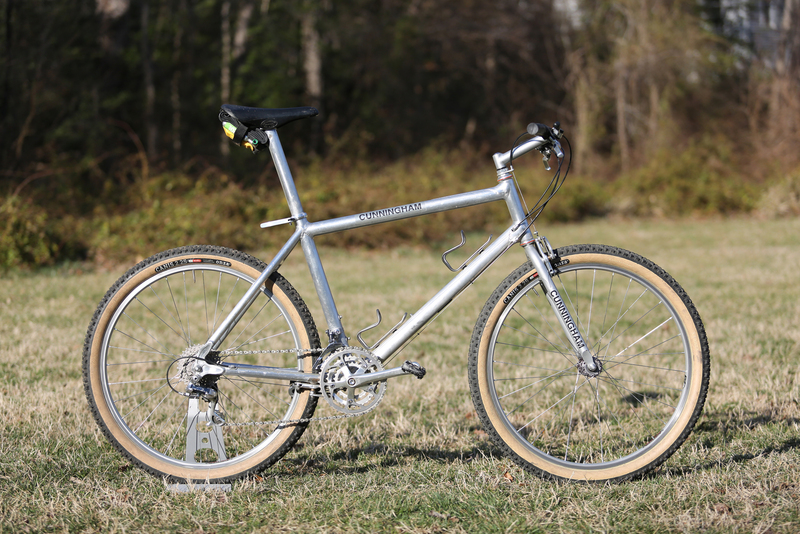 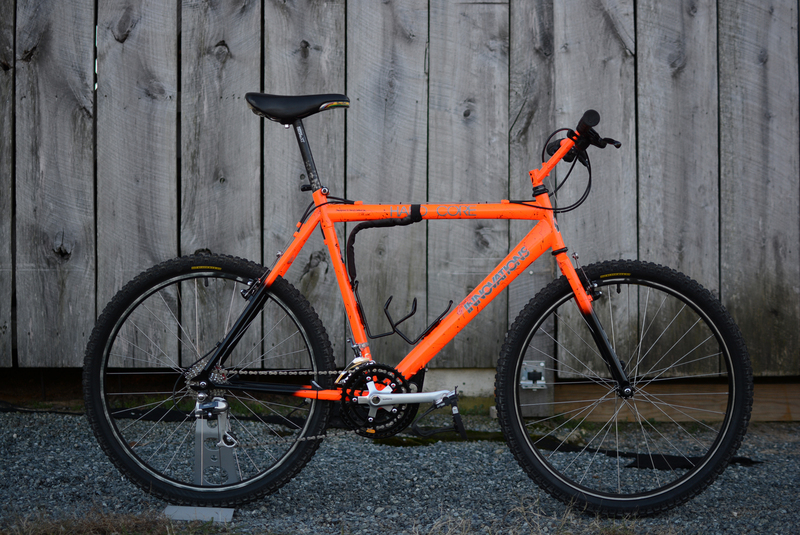 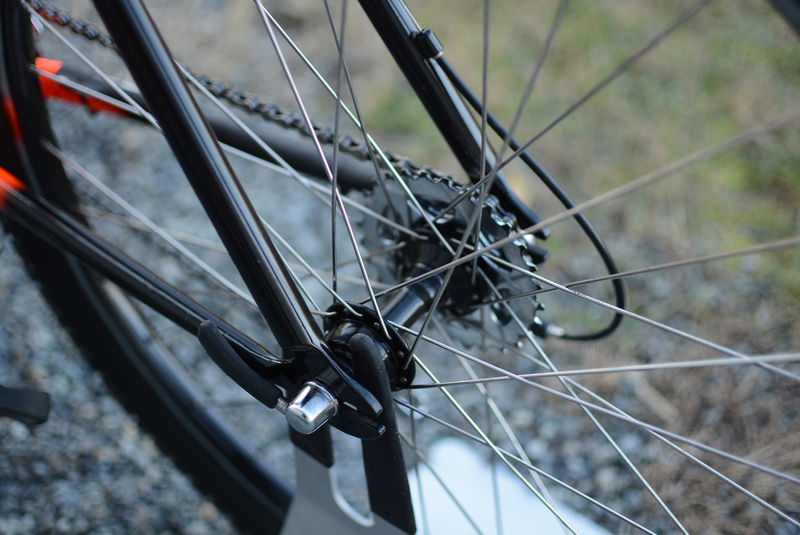 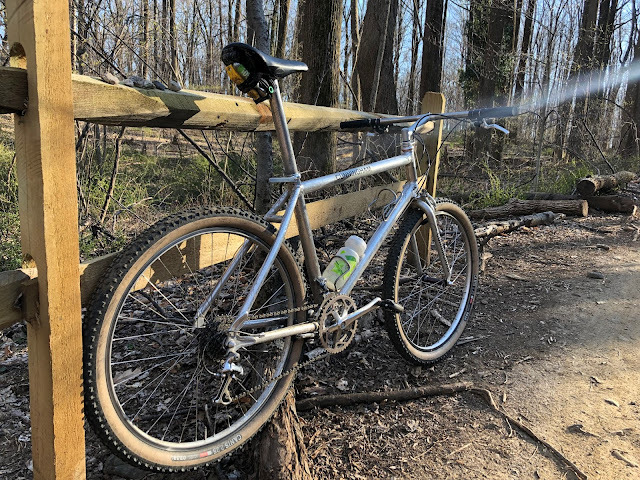 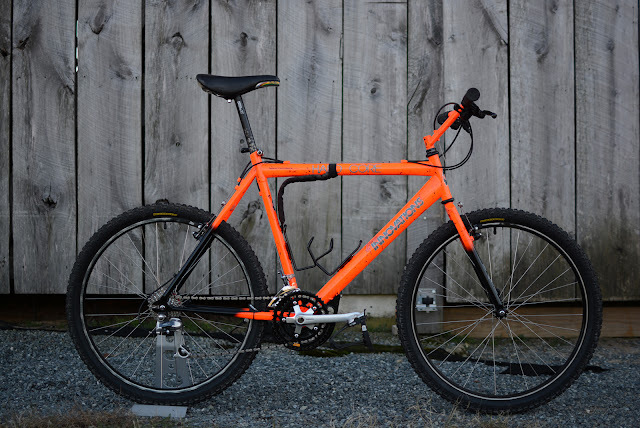 The Sherpa and XCR were very similar in both their design and construction, with the Sherpa employing longer (18" vs 17.5") chainstays made out of standard 4130 chrome moly tubing vs smaller Columbus stays on the XCR. 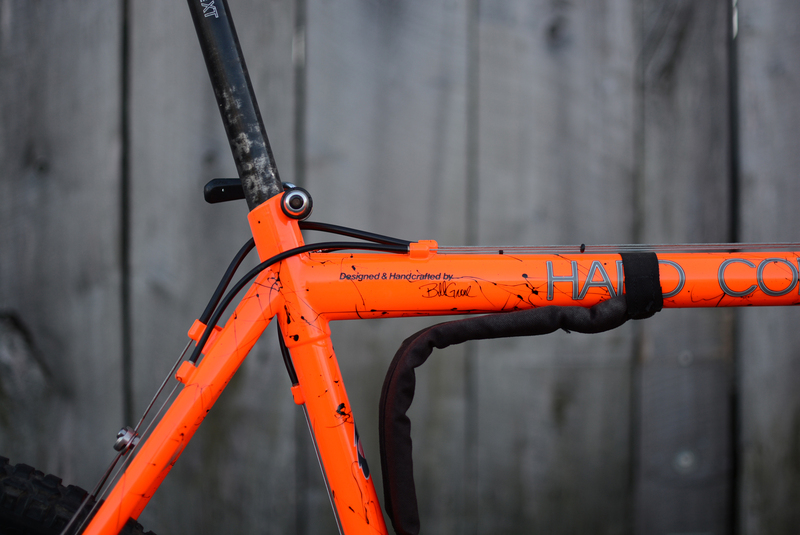 Both bikes had approximate 72 degree head and seat tube angles and similar builds including a Mantis stem, bar and seat post. 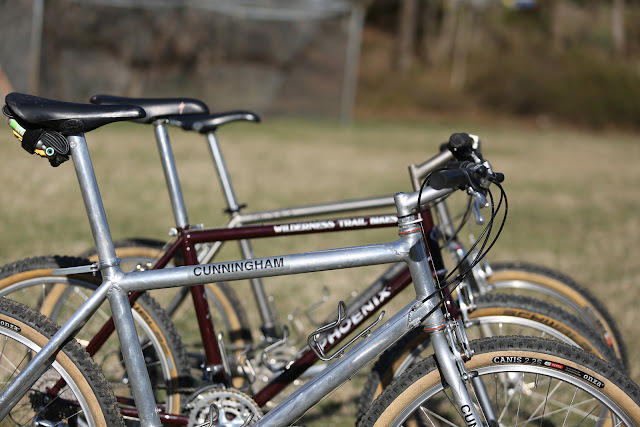 Aside from the name decal you'd be hard pressed to identify the two at a distance. 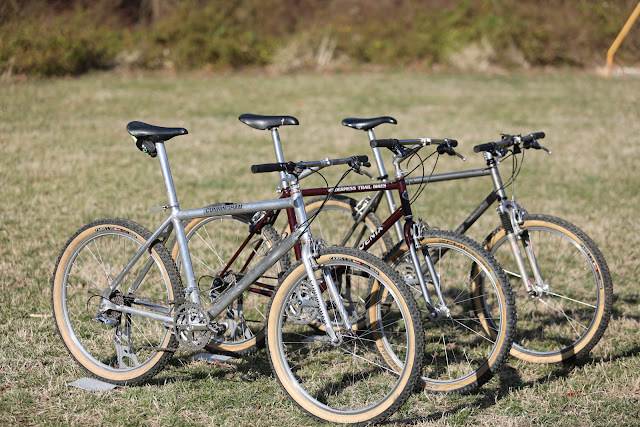 One nice thing about the Sherpas over the XCR is that they came standard in a variety of elegant metallic colors to the base Imron red on the XCR, a color I never really liked. 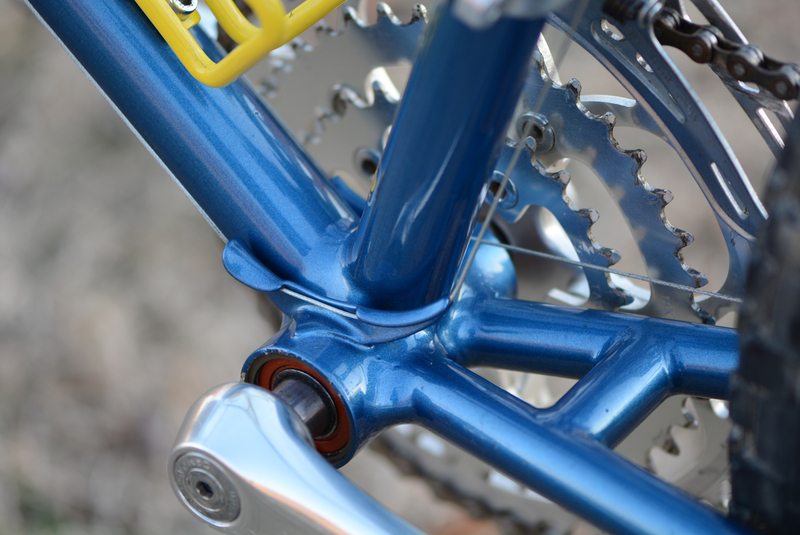 If you've not seen it before the Mantis three bolt stem can be a bit confusing. 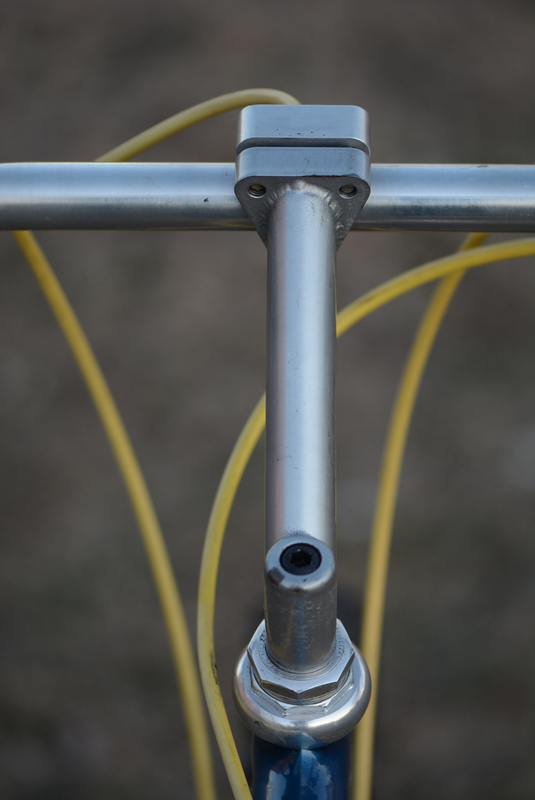 It features TIG welded construction on the quill and stem with a removable Aluminum face plate to enable easy bar swaps and provide a cable stop for internal cable routing. A very slick design that's truly one of a kind. 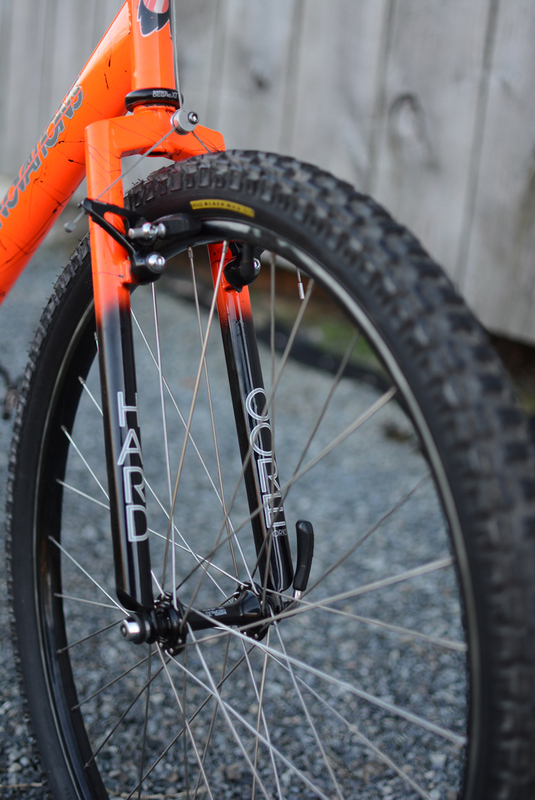 The fork here is the same exact unit used on the XCR and it's as elegant as ever. 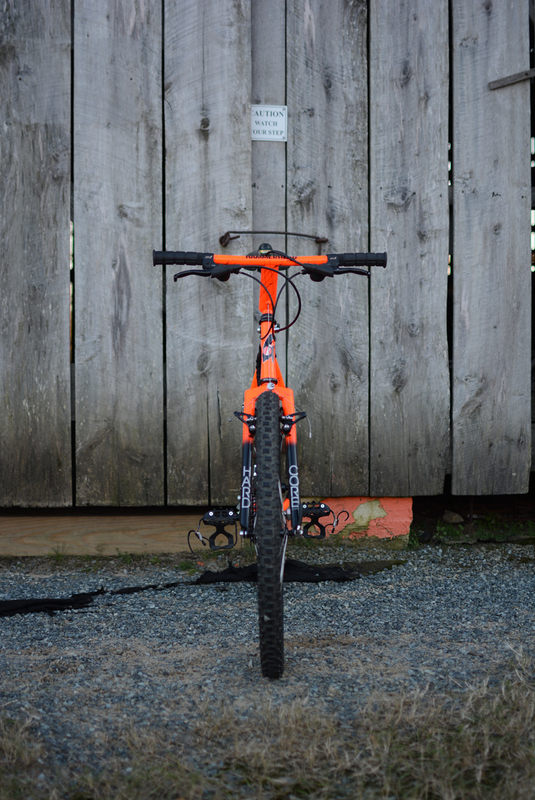 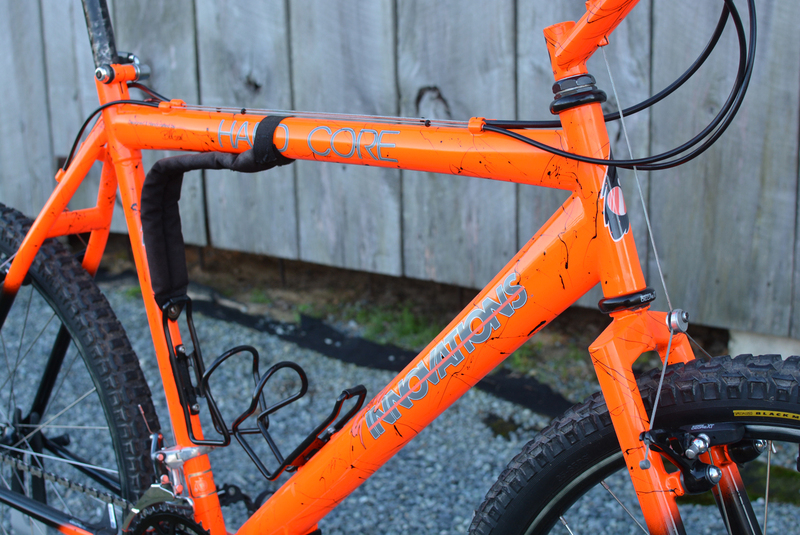 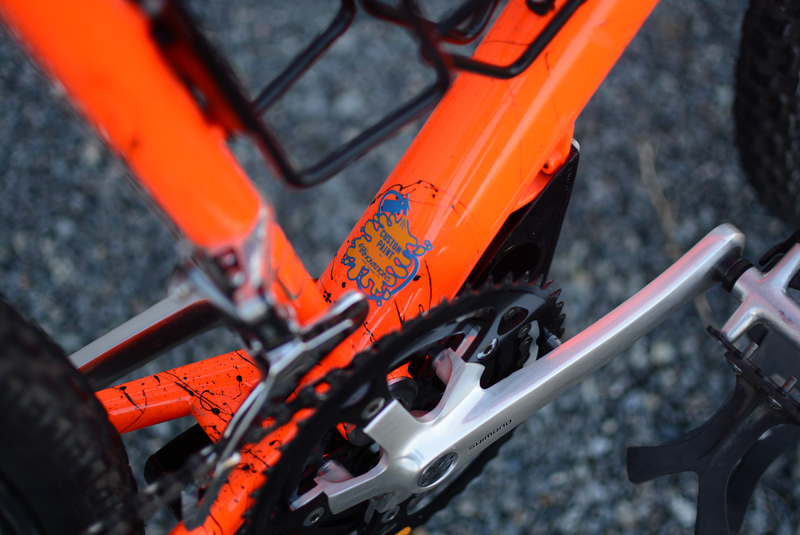 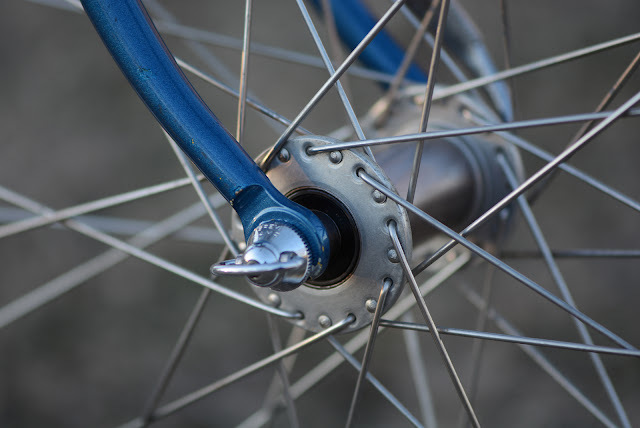 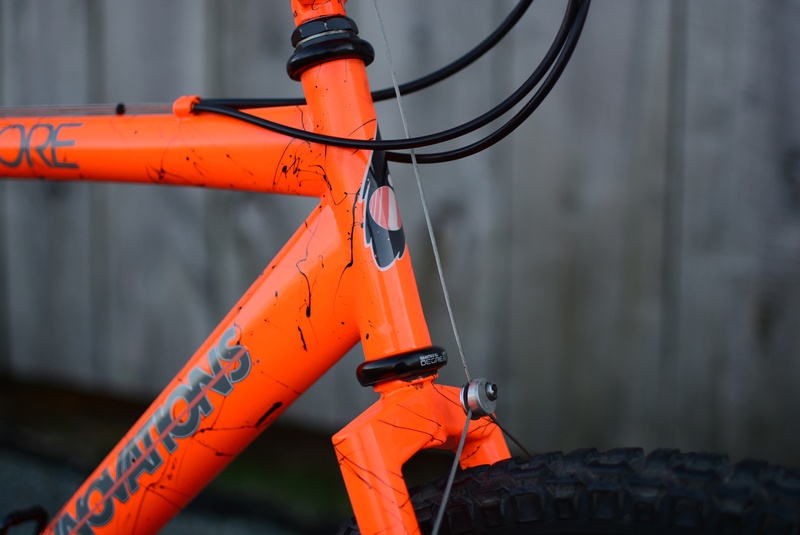 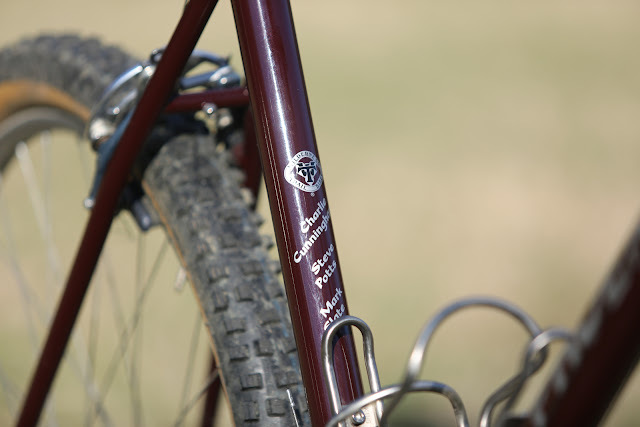 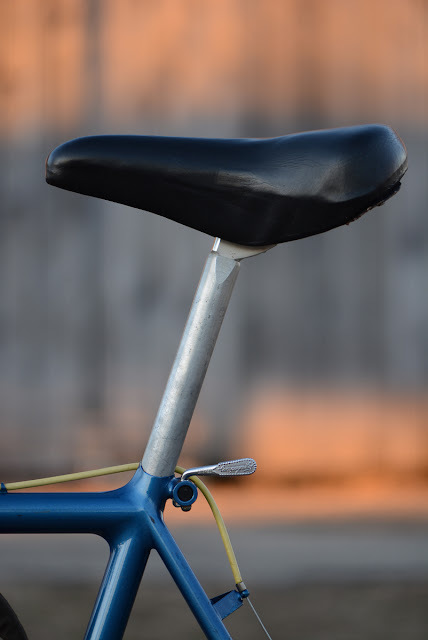 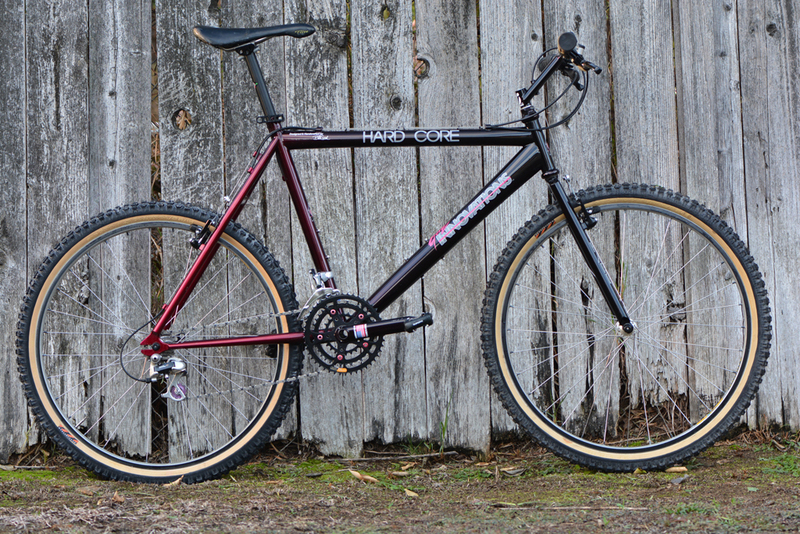 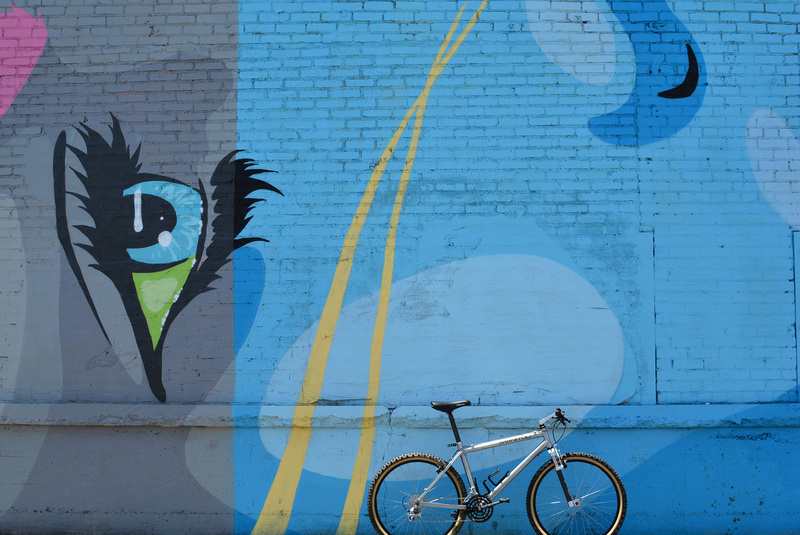 The bi-plane style of forks are some of the more distinguished hallmarks of early MTBs. 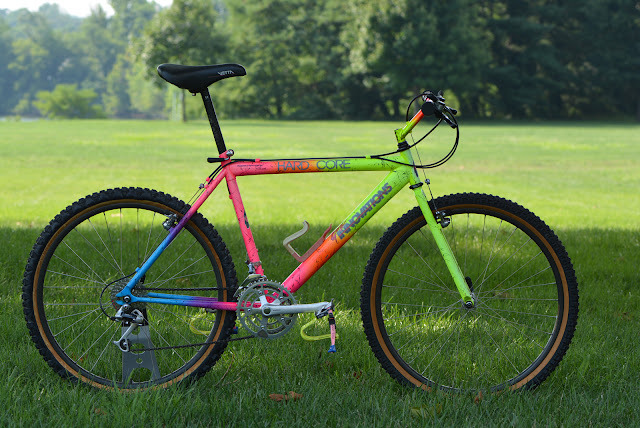 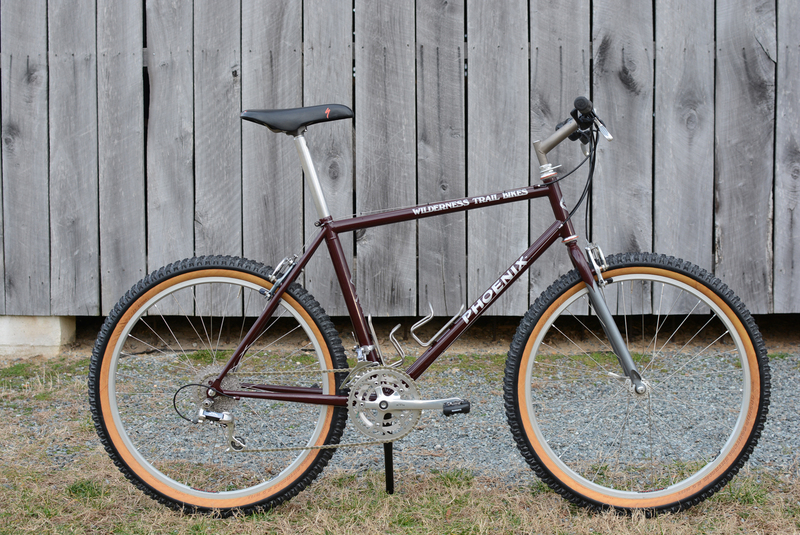 Many of the first MTB manufacturers used this design, but few made them as nicely as Richard. 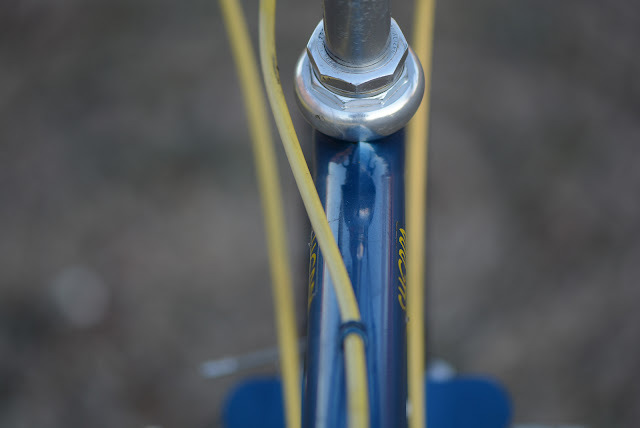 While aesthetically pleasing these forks were not known to last, at least not on the XCRs. 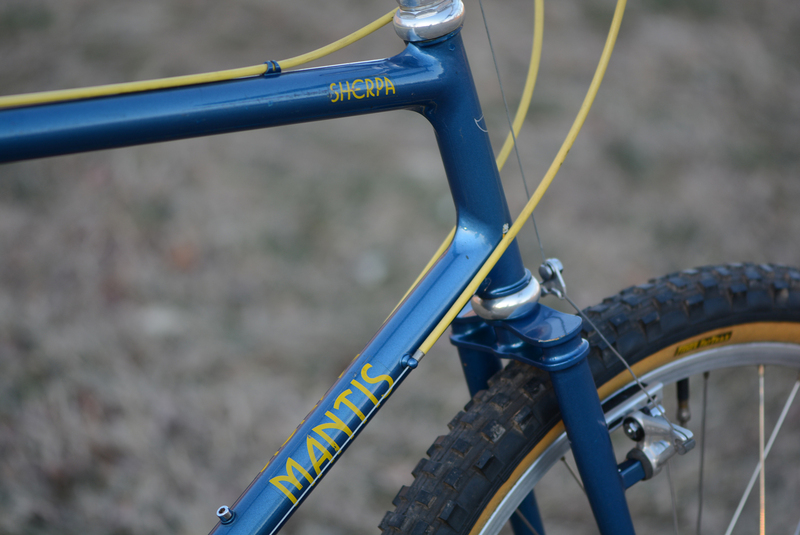 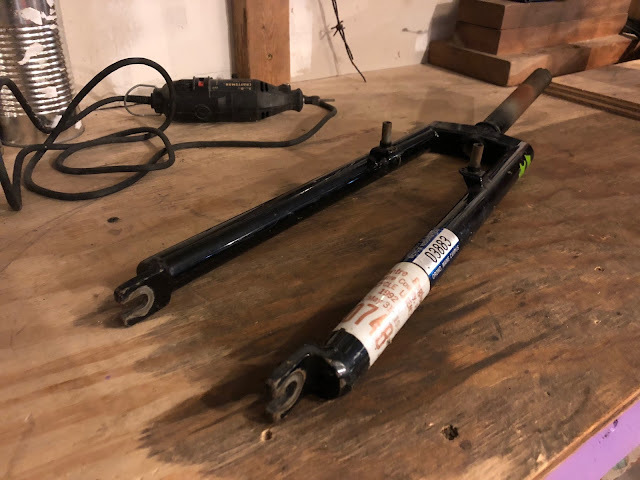 One interesting fact about the early Mantis bikes is that the forks and frames wore matching serial numbers, so you would likely know if the fork wasn't original. 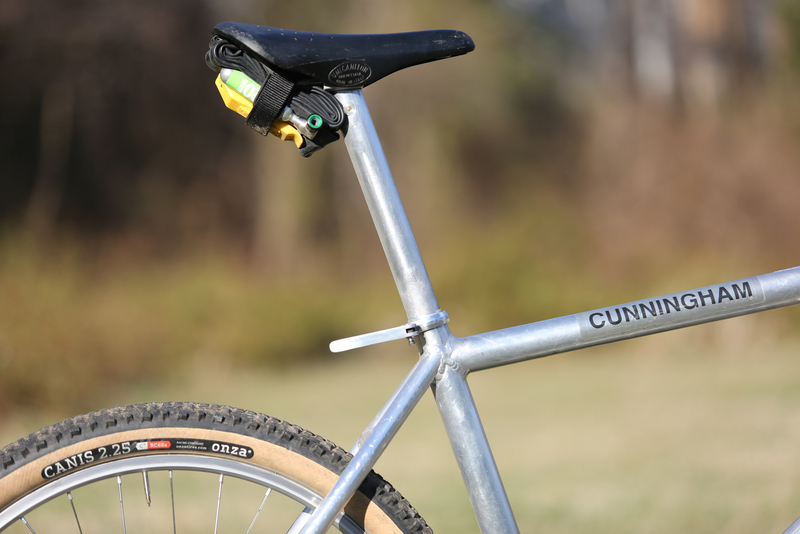 In this case the numbers match so we can rest assured this fork is original. 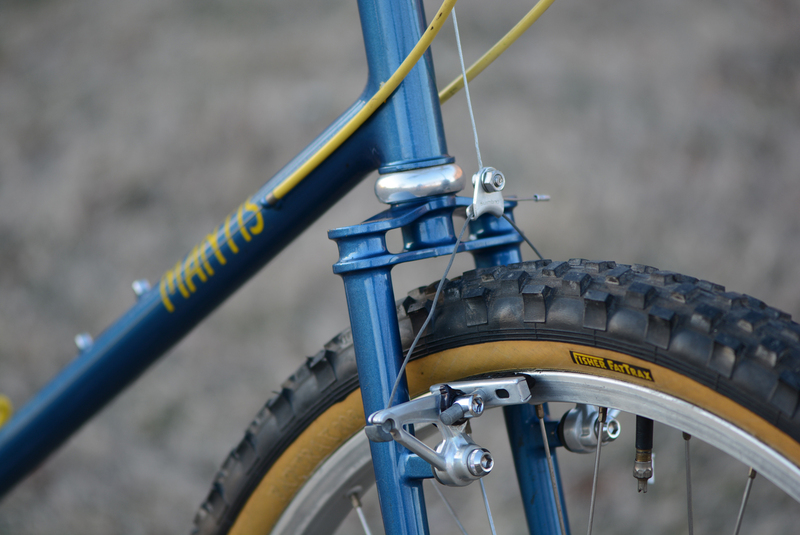 Odds are anyways that if a fork was replaced it would be done so with a new unicrown model which was the design Mantis moved to on most bikes starting in 1984. 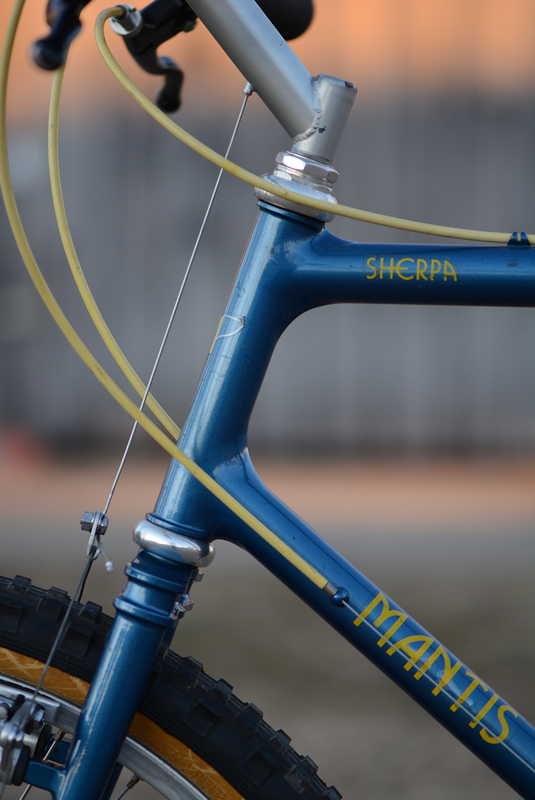 The raised and filed fillet on either end of the top tube is a signature Mantis feature and was only available on the Sherpa and the 1983 XCR. 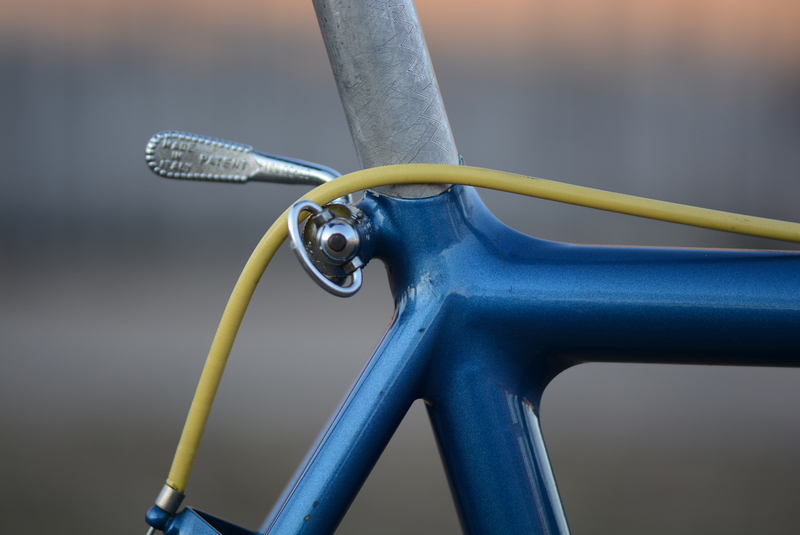 Richard did make a few custom one off bikes and a couple of them were also adorned with these beautifully sculpted transitions. 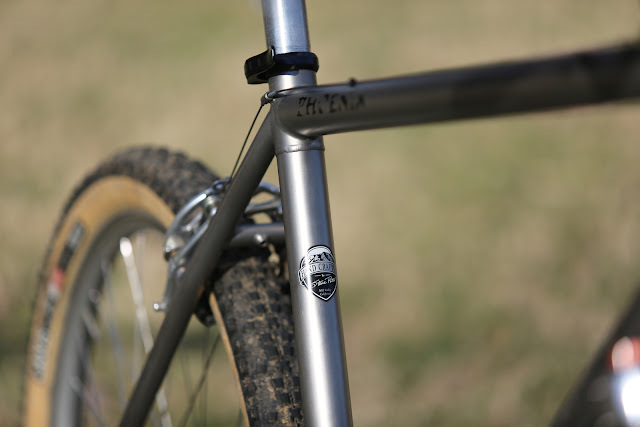 Unlike most modern bikes, unless they are something that came out of NAHBS most modern bikes are all function and offer little in the way of flourishes or what I'd call personal touches. 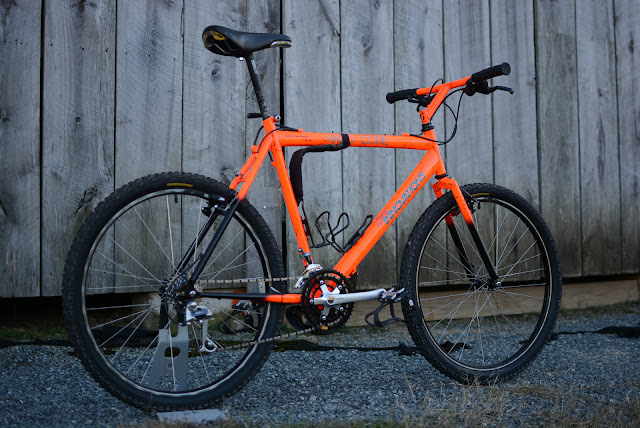 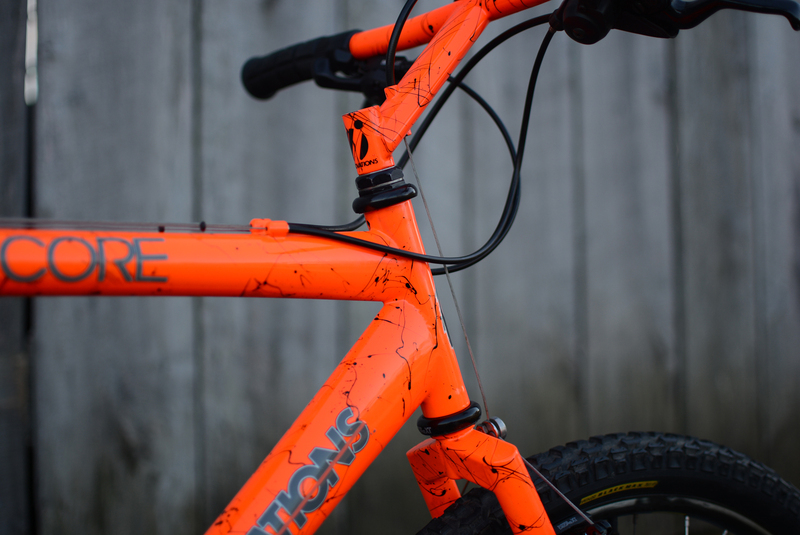 You pick a bike based on technical specs and maybe some degree of brand loyalty, or maybe just go with what's on sale because they are all so damn similar anyways. 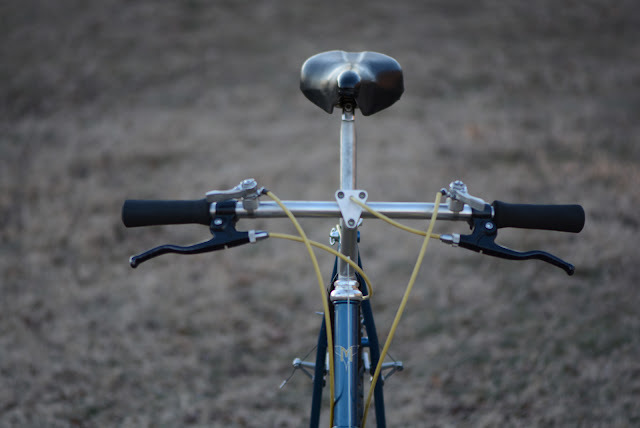 On these older bikes, and especially something like this Sherpa there is so much to notice, so much to appreciate. 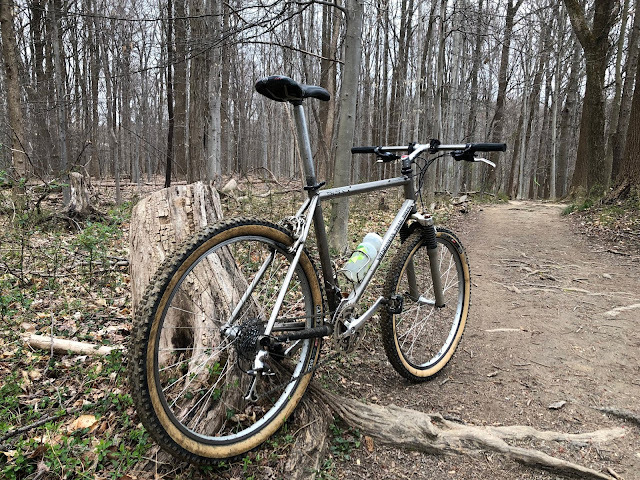 So even though I just finished the XCR (which I wrote up here a few weeks ago), I am still quite thrilled to have a chance to work on this bike and take in all of it's finer details. 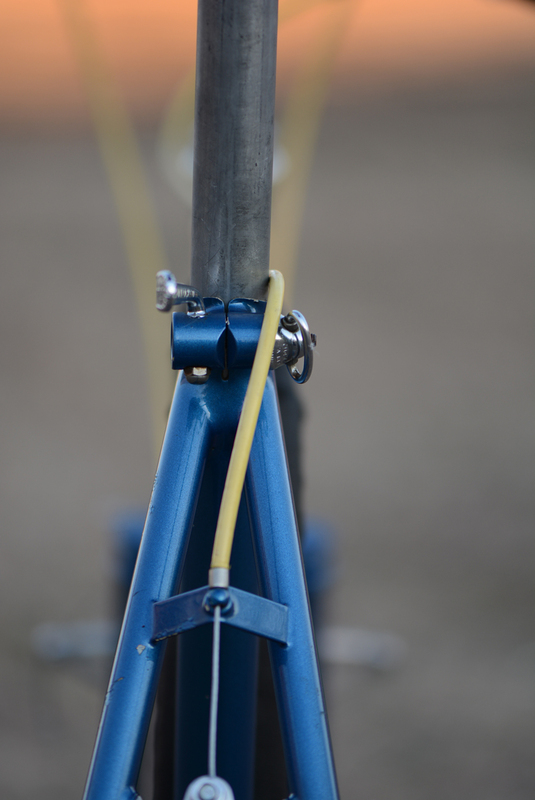 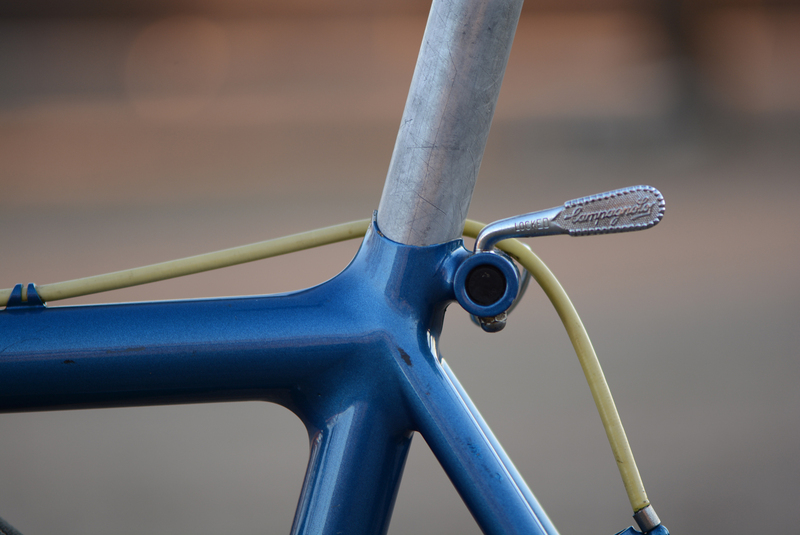 I like how Richard integrated rack mounts into the seat stays, looks much cleaner than externally brazed on bosses. 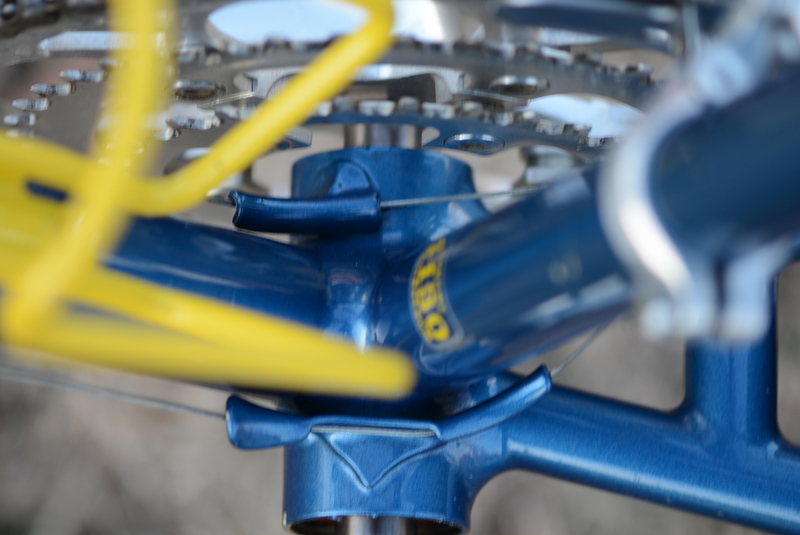 One of the main differences I've noticed between this Sherpa and all of the XCRs I've worked on is this above the bottom bracket, Henry James style derailleur cable routing. 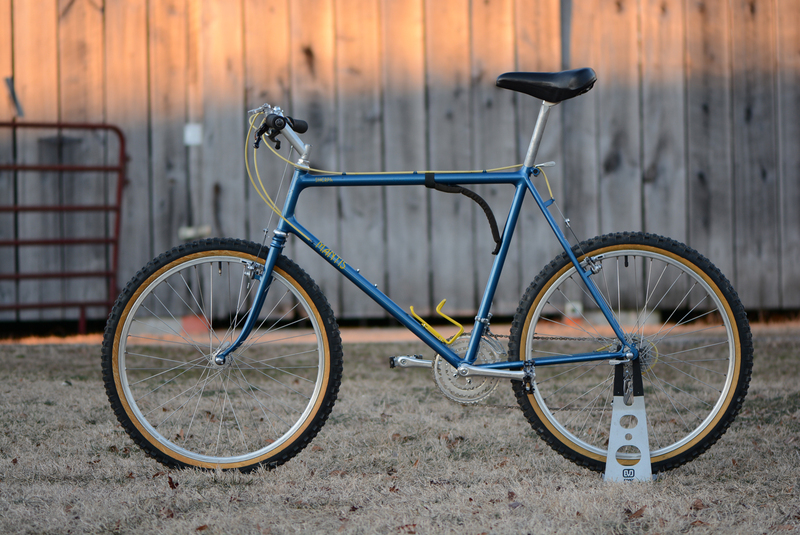 This was the way the 82 bikes were shown in the Mantis brochure, which is why I initially thought this bike was an 82, however I recently got a hold of the first cut of the 83 catalog which also had this same exact style routing. 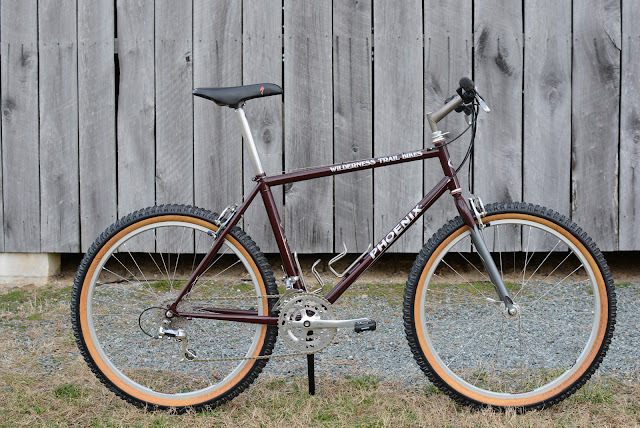 The later 83 brochures showed the revised style of routing and so I imagine at some point that year Richard switched over. 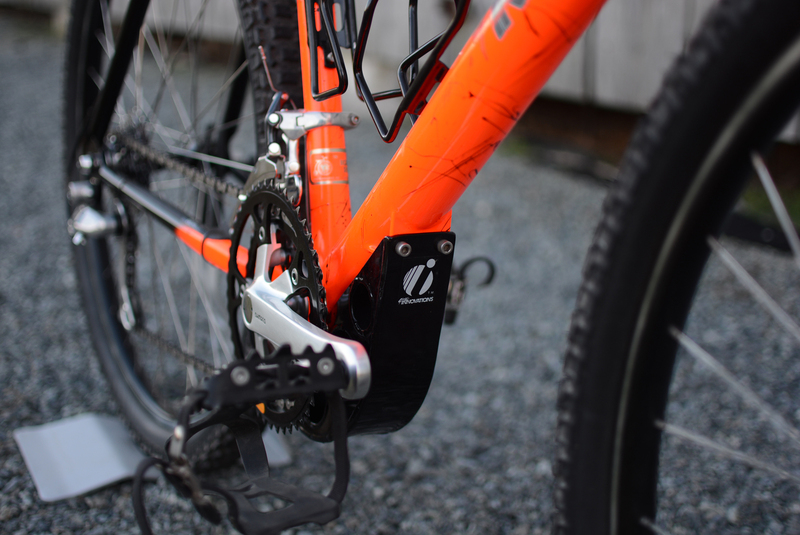 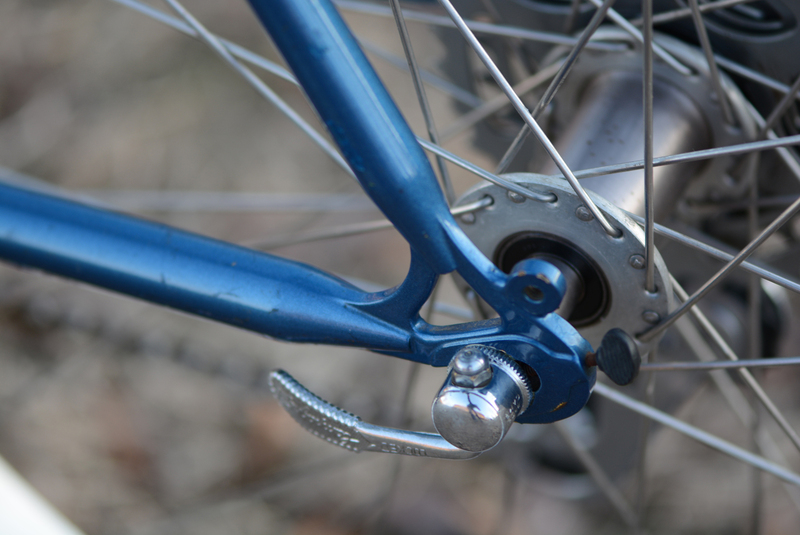 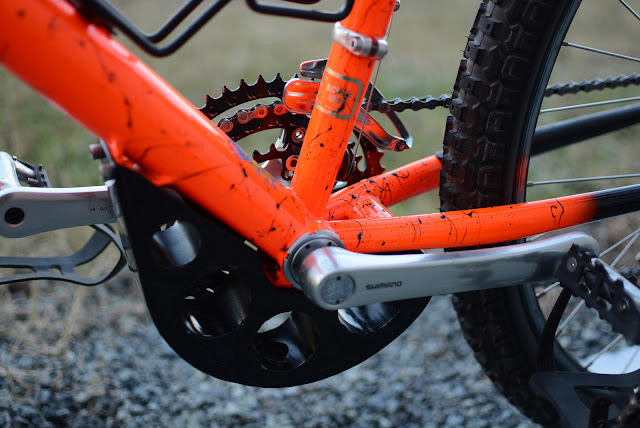 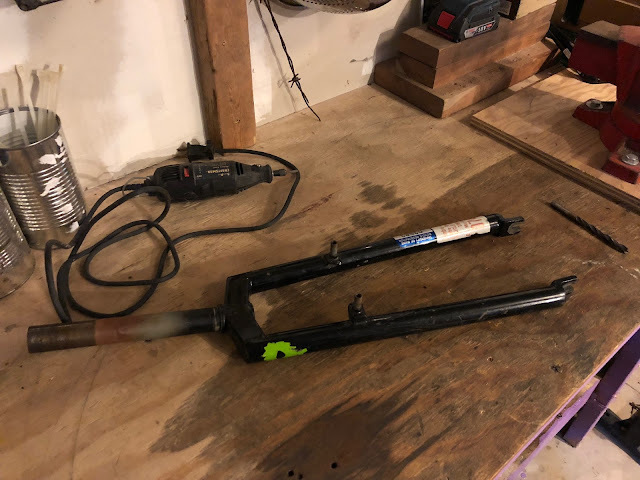 I've seen one other Sherpas with cable stops at the top of the down tube and one just above on the seat tube with a piece of housing connecting them which served as the routing for the front derailleur, with the rear still using the welded on guide. The XCRs had a custom made guide underneath the BB shell. 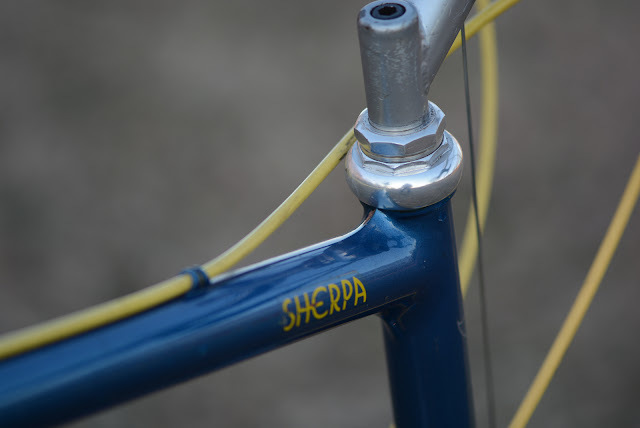 As I mentioned earlier on the major differences between the Sherpas and XCRs was the heavier duty and longer rear triangle on the Sherpa. 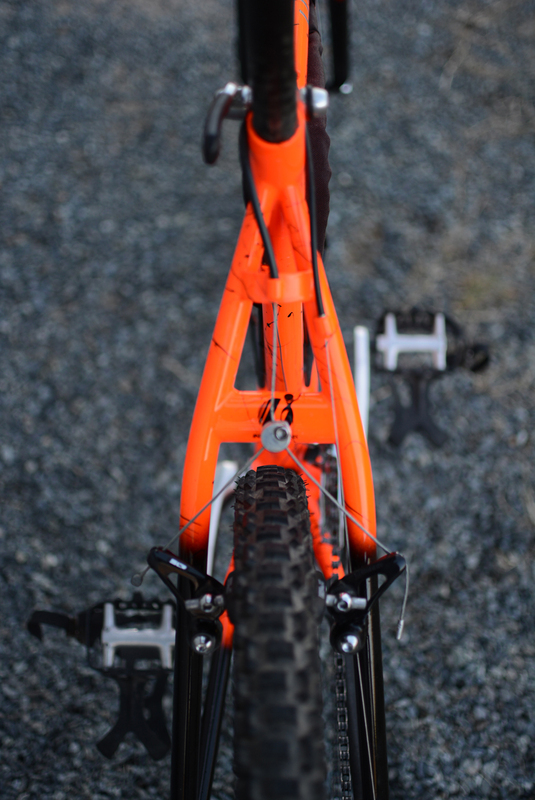 The bullet ends on the stays are much more pronounced here and really give the bike a beefier though hardly brutish feel. 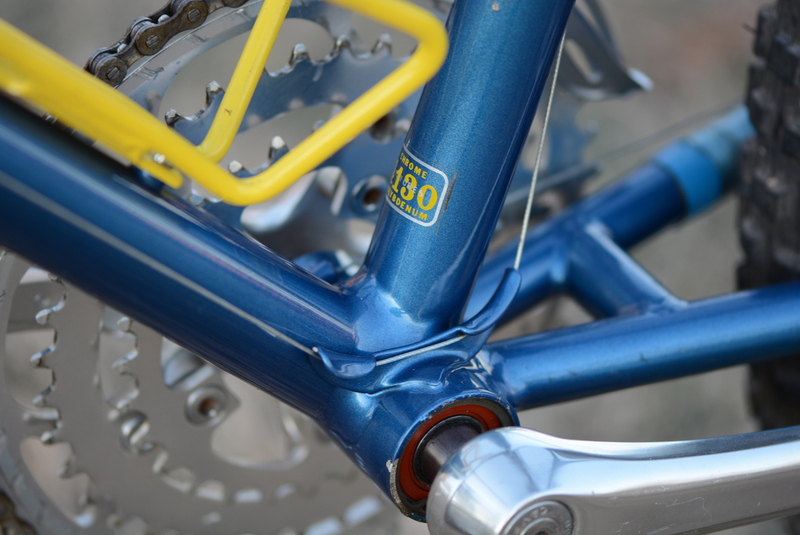 Once again the details in the metalwork on these bikes are simply stunning. 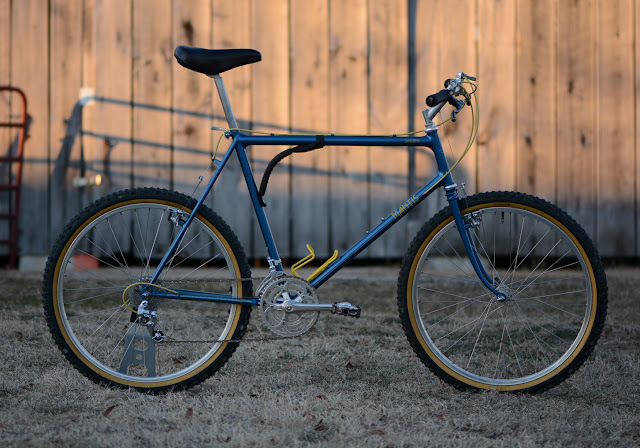 This is one of those times I wish I had the space and funds to keep each and every single bike I come across, sadly this is not the case. 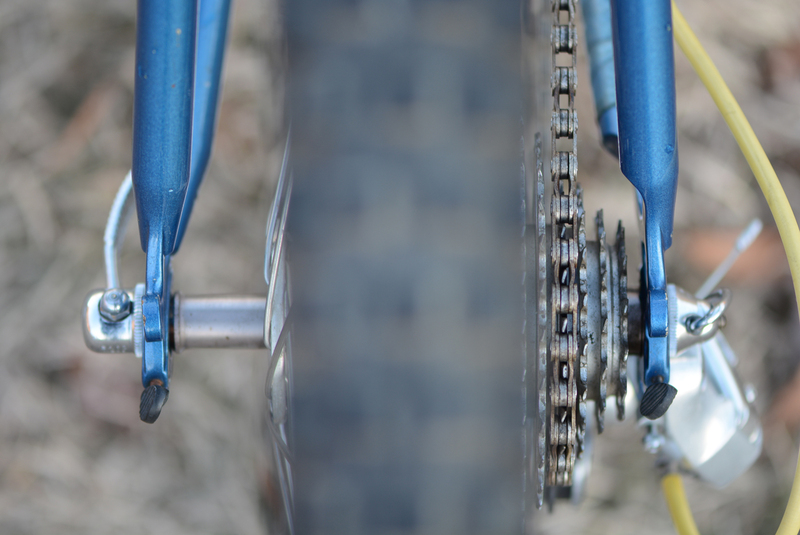 This has become one of my favorite shots to take, I especially love it on Manitous with their dishless rear wheels. 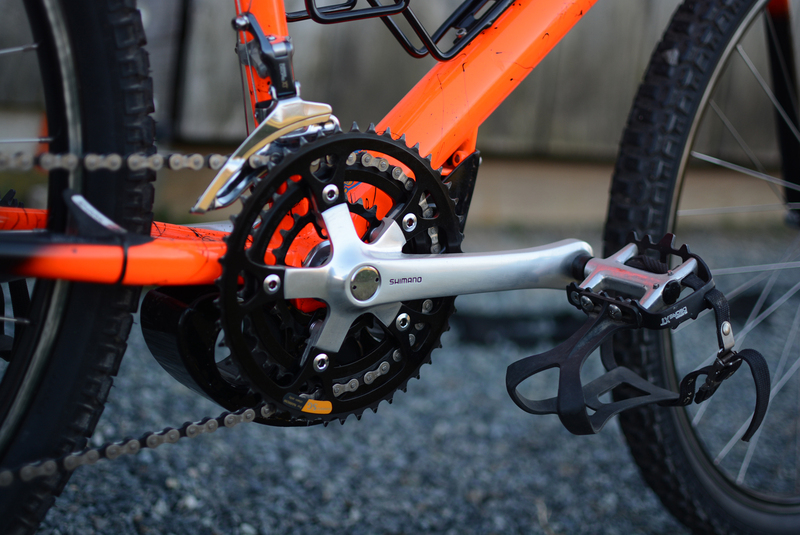 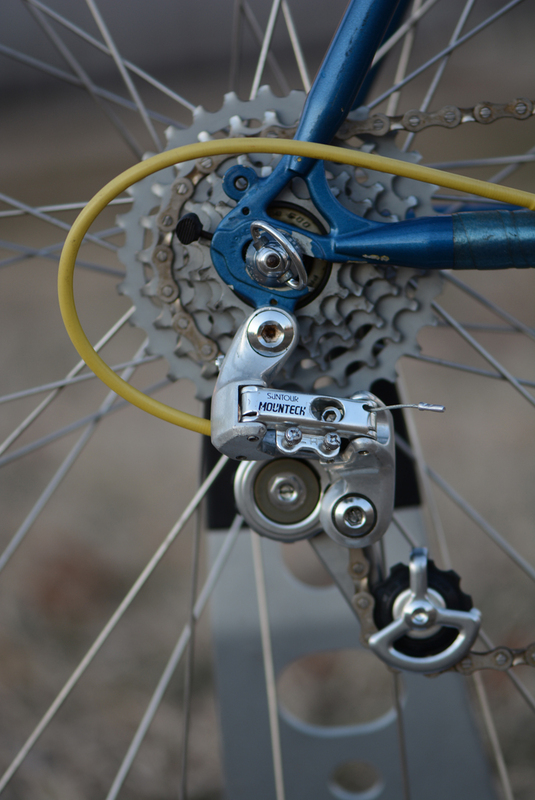 Suntour Mountech derailleurs with Shimano Tourney Takagi XT cranks. 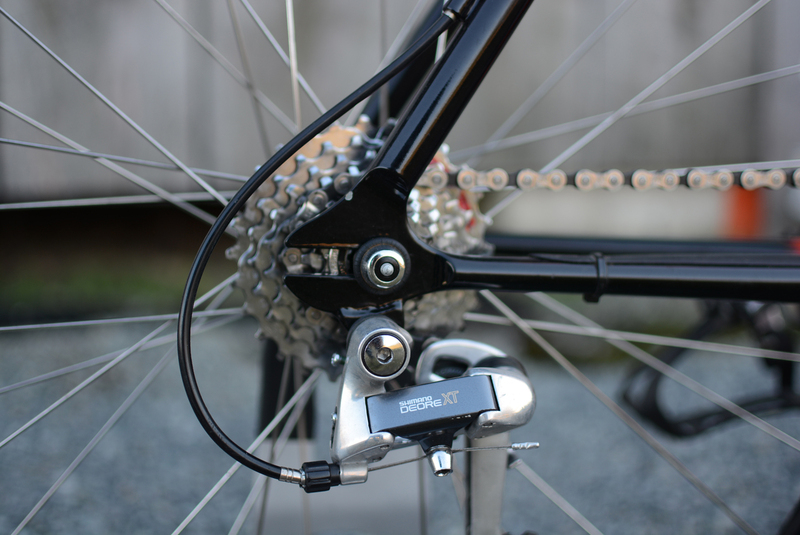 The Suntour Mountech rear derailleur is an interesting design with a custom integrated top pulley which sits above the cage pivot mechanism. 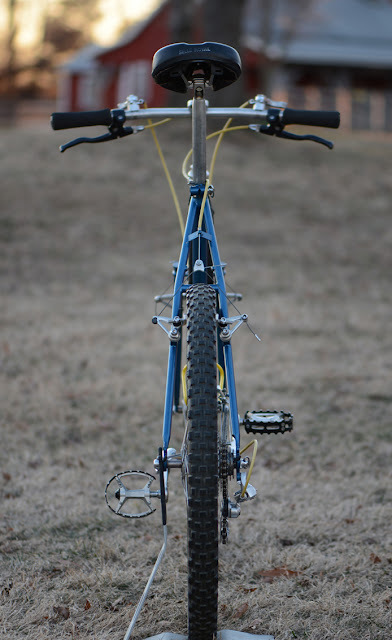 About all I can regarding this unit is that it does function. Suntour evolved this design eventually including a three pulley system which was poorly received and ultimately the more modern design was introduced with the XC series of Suntour MTB components. 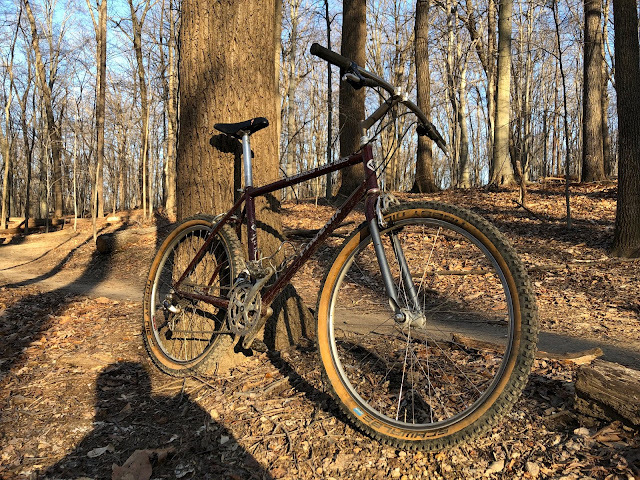 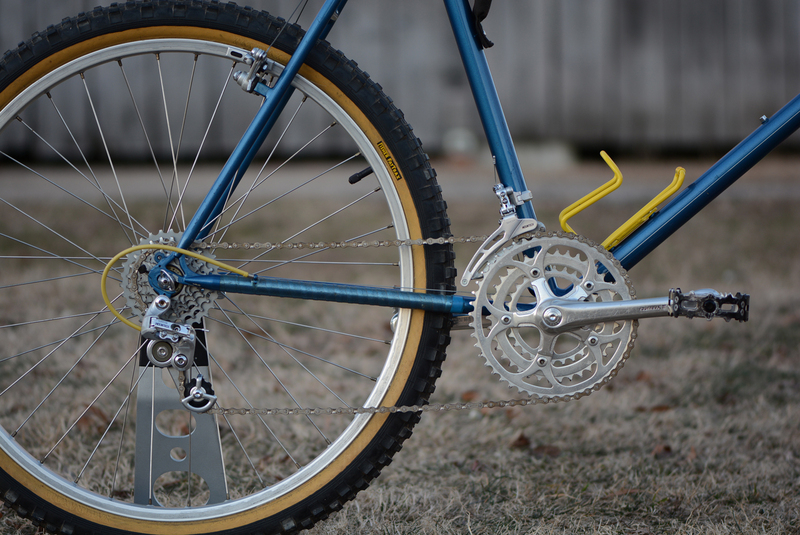 I only rode my 83 XCR a couple of times and as best as I recall I didn't really care for the very upright feel of the bike and definitely didn't feel very confident with the drivetrain and brakes. By most people's standards my most modern bike is quite ancient, however I feel that for most people a good mountain bike from the early to mid 90s is likely to be less of a limiting factor than say fitness or overall skills. However, these early 80s bikes really require you to slow down and ride entirely differently that you would on bikes from the 90s or even late 80s. 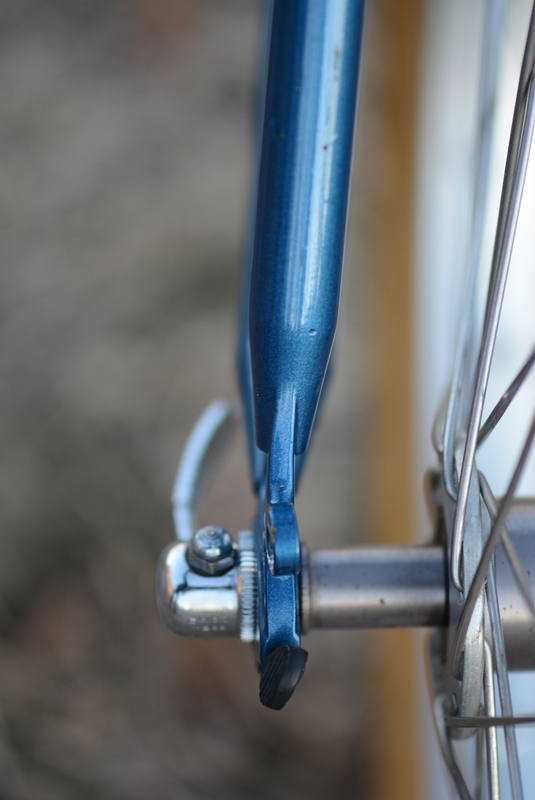 You have to get your head out of the saddle and plan your shifts and braking points well in advance. Handling is good enough for most trails, but bikes were larger and so you're higher up than you might on a new bike and a big bike is sometimes tough to get around in tight quarter. 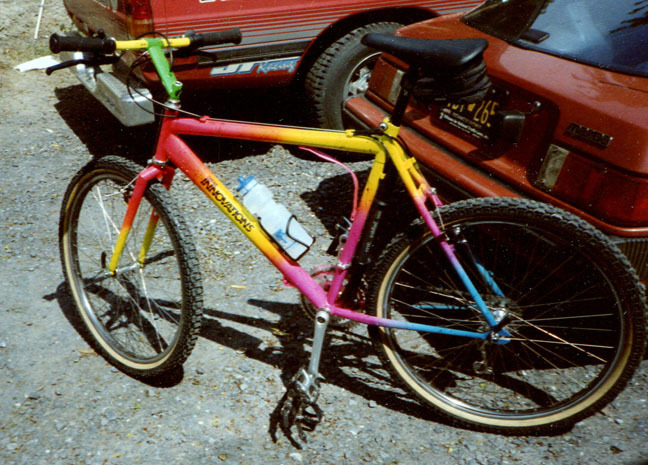 With all that in mind I quickly realized that this wasn't a bike I would try to ride hard and eventually sold it. 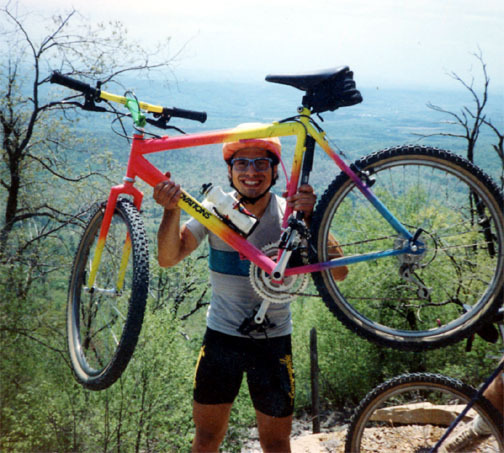 I have a feeling the same would be true for this Sherpa. However, I really wish the weather would improve so that I could take the opportunity to take a second try and see how this bike would fare on the most gentle east coast trails where I now live.